NSEE's membership has contributed to an extensive knowledge base that has been created over the past two decades through the work of its members combined with the development of new models and practices. NSEE members rely on this network of collective wisdom and experience to improve education in schools, postsecondary institutions, businesses, and community-based organizations. Those who join the organization find an openness and sharing of ideas--there is a commitment to quality and improvement. Serving members and an extended network of non-members who are professors, teachers, principals, deans, directors of service-learning programs, professionals in career development and youth employment, counselors, directors of internships and cooperative education programs, school-to-work coordinators, superintendents, college presidents, researchers, and policymakers. Taking leadership in developing and disseminating principles of good practice and innovations in experienced-based learning. Providing a forum for discussion of state of the art ideas, practices, and innovations at the National Conference and Regional Workshops. Keeping practitioners up-to-date through NSEE newsletters and publications. Informing educators about critical issues, program models and practices, theory, and research through books and resource papers on experiential education. Assisting with a variety of needs in starting or strengthening experience-based learning programs through consulting services provided by a trained network of NSEE members. Providing information and referrals about research, theory, and high-quality programs through NSEE's National Resource Center for Experiential and Service Learning. 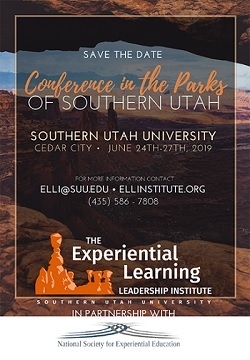 Collaborating with other national, regional, and local organizations to strengthen and advance experiential education. What Types of individuals join NSEE? What Types of Organizations Do NSEE Members Represent? Membership for NSEE is a calendar year membership which starts January 1 to December 31. Step 1. Select the membership category that's right for you and your organization and click on the link below to join online. Step 2. Or complete our membership form below by printing it out and mailing or faxing it to 856-423-3420. Receive full benefits for up to 12 people plus special recognition throughout the year. Designate one person as the primary NSEE liaison. Additional people beyond 12 may be added at $85 each. Receive full benefits for up to 4 people plus special recognition. Designate one person as the primary NSEE liaison. Additional people beyond 4 may be added at $85 each. For individual faculty, administrators, program directors, and others. For those currently enrolled full time in an educational institution. Proof must be provided of full-time student status. For individual retired faculty / staff members. It's that simple! If you have additional questions about the benefits of becoming an NSEE member, please contact us at 856-423-3427 or [email protected].